Be sure to consult the online InterSystems Supported Platforms document for this release for information on system requirements for DeepSee. 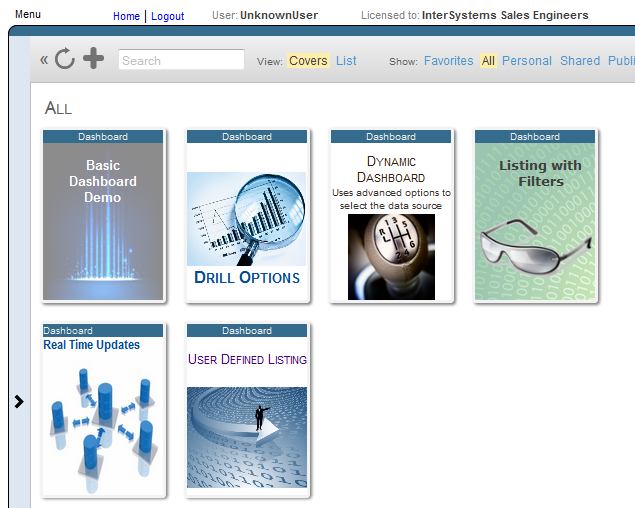 To access DeepSee dashboards from the Management Portal, click DeepSee and then click User Portal. If you click the cover arrow, DeepSee displays the dashboard. If you have permission to do so, you can then edit the dashboard. For more information on using the User Portal, see the DeepSee End User Guide. The left area of the dashboard displays two worklists. These are configurable areas you can use to display controls (such as the filters shown in the upper worklist) and other useful items (such as the recent items list shown in the lower worklist). This book does not discuss worklists in detail. For information on using worklists, see the DeepSee End User Guide. For information on configuring them, see the DeepSee Implementation Guide. 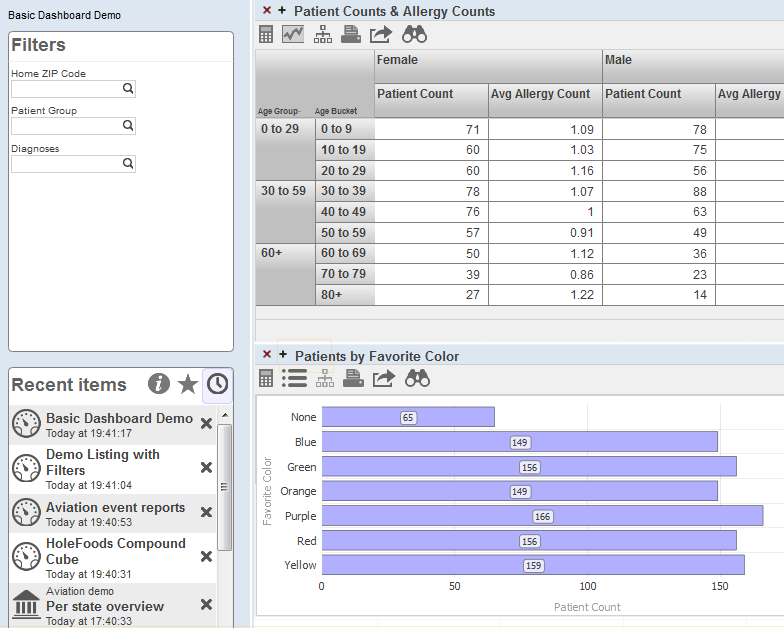 This example dashboard also includes two widgets, which are both pivot table widgets. Note that a pivot table widget can display any kind of data source. 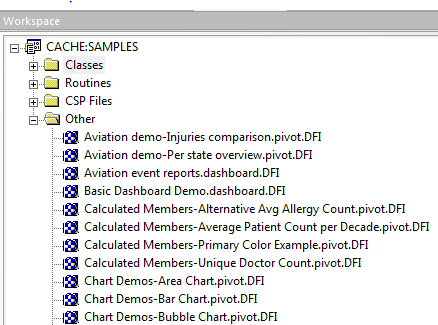 Note that this folder also lists pivot table definitions and other DeepSee folder items. These definitions are not class definitions but can be copied and pasted into a special container class for easier deployment. For details, see Packaging DeepSee Elements into Classes in the DeepSee Implementation Guide.